The new interior of the London office of famed Storm Model Management agency was conceived by Cross Harris Umney architects to be sleek and modern, with minimal and mainly concealed details. into were to design the lighting as part of the refurbishment. In the main office area ceiling troughs mirror the table arrangement below and conceal linear light details, providing an architectural feature which draws the eye the length of the space. 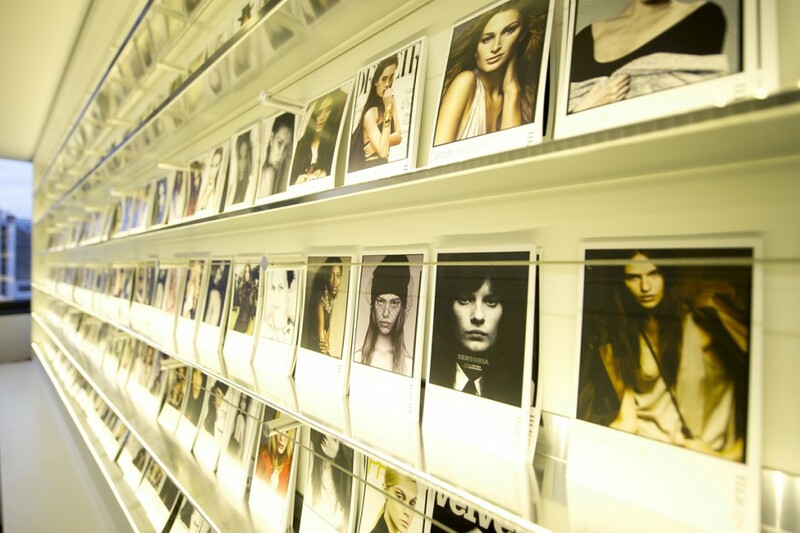 LED lighting is carefully concealed behind the edge of Perspex photo holders which line the walls, uplighting images of models. Minimal numbers of downlights arranged in a grid formation run through the rest of the space and into reception. Designer glass ball pendant lights were specified to feature areas. The lighting design mimics the minimal and architectural interior design for the space. 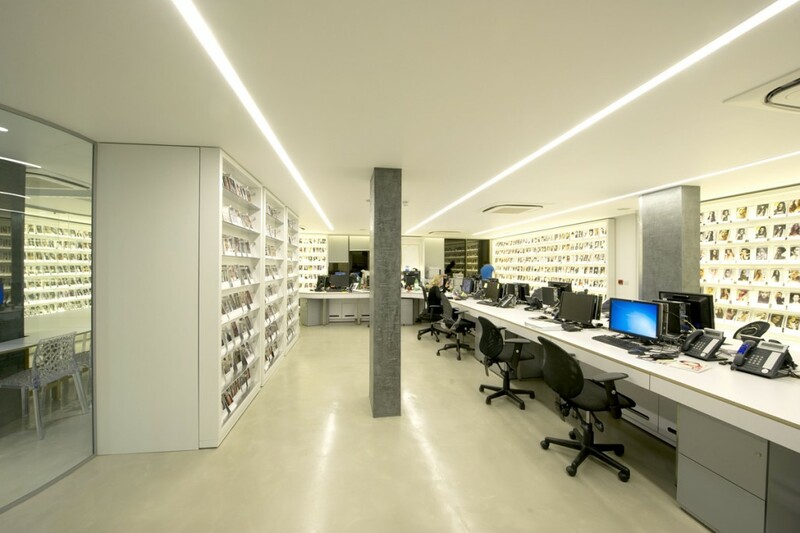 The lighting specified meets with the requirements for an office space environment while also creating a smooth light effect and fresh atmosphere.